Surprise, Arizona to/from Phoenix Sky Harbor International Airport (PHX). Great Flat Rates! More often than not, our town car flat rate fares to and from Surprise, and the Phoenix Airport (PHX) are less than taxis charge for the same service. So, why travel in a taxi when you can travel to the airport in style and comfort in any one of our luxury vehicles. >> VIEW OUR RATES. A Luxurious Vehicle Fleet. Whether you are a single executive, traveling couple or a large group, Roadrunner has the right vehicle for you. Depending on the amount of passengers, Roadrunner Limousine’s fleet includes town cars, limousines, SUV’s, passenger vans and even 30+ passenger coaches. All our vehicles are clean, comfortable, private late model luxury vehicles equipped with GPS Navigation systems. So, why take a bumpy taxi from Surprise, to PHX when a luxury vehicle is available at Roadrunner Limousine? 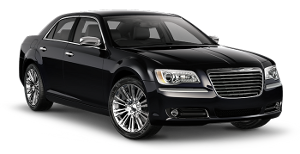 Roadrunner Limousine, serving Surprise, and Phoenix, Arizona, provides exceptional service for its executive clients. Our executive guests expect reliable, convenient and comfortable transportation to or from Surprise, and the Phoenix Sky Harbor International Airport. As important as it is to provide our executive passenger with optimum service, working effectively with their executive assistants and travel coordinators makes everyone’s job easier. For them, we have a state-of-the-art online booking and account monitoring system accompanied by a highly trained staff to help develop and execute the most sophisticated travel plans that any busy executive or corporate group might need. First Time Coming to Surprise, Arizona – Did You Know? Nestled among the majestic mountains of the Mogollon Rim-a 7,000-foot, 200-mile-long escarpment, lays the breathtaking and serene town of Payson, Arizona. Graced with spectacular natural beauty, this small town is located between the Sierra Ancha and the Mazatzal Mountain Ranges. Giant saguaros march up the low hill, forests cover their higher slopes, and rivers run rampantly through surrounding canyons. Residents like to brag that their town is situated in one of only three, pure air ozone belts in the world. At an elevation of 5,000 feet, the area enjoys a mild climate that accommodates year-round outdoor exploration, but not at the expense of missing out on seasonal changes. Residents and tourists alike enjoy snow covered, fragrant pine trees while cross-country skiing in the winter and extremely pleasant temperatures in the spring, summer, and fall while they hunt, fish, camp or hike. The surrounding Tonto National Forest is a major recreational draw for outdoor enthusiasts, hosting the world’s largest stand of ponderosa pine trees. Just minutes away from town are several beautiful rim lakes, countless trout streams, and miles of mountain biking, hiking and horse trails. Surprise is a friendly community where people know each other and enjoy getting together to socialize at many of the areas special activities and events. The back drop for many of these events is the spacious 40-acre Green Valley Park. This park is an excellent fishing, picnic, and recreation destination. Although Surprise is a modern town with an array of first-class accommodations, dining, and shopping opportunities, it also boasts a downtown main street rich in Western Heritage, featuring art galleries, antique stores, and first-rate restaurants. Complete with a casino, museums and other attractions, there is something for everyone in Peoria. Surprise hosts the World’s Oldest Continuous Rodeo, as well as other rodeos, festivals, and activities that showcase the Old West. The Old Time Fiddlers State Championship and the Beeline Cruise-In Car Show both draw countless visitors each year. With more than two dozen art galleries, jewelry makers, and specialty retailers such as the unique Swiss Village Shops, there’s no reason to head to the big city for fine arts, crafts, and antiques. In October, the Peoria Art League’s Fine Art and Craft Show offers locally made artwork to thousands of visitors. Whether you are looking for an extreme outdoor adventure or a peaceful getaway filled with history, beauty, and rustic charm – Peoria delivers! We hope to see you soon.